The West Country’s heritage steam railways are teaming up to give the romance of steam train travel in the region a greater profile at home and abroad – and boosting local tourism at the same time. A new joint marketing organisation called ‘Great Western Steam Railways’ (GWSR) has just been set up to put the major steam rail lines in Devon, Somerset and Cornwall firmly on the national and international maps. The South Devon Railway, the West Somerset Railway and Bodmin & Wenford Railway are at the centre of the new group – with the Dartmoor Railway as an associate member. The four lines have a combined turnover of @£5 million a year and between them they carry more than 400,000 passengers annually through some of the most unique and beautiful countryside in the country. The formation of the marketing group, which has already gained the support of South West Tourism’s Marketing Director Robin Barker, is a pilot brand promotion scheme with the eventual aim of involving steam lines across the region with a marketing emphasis on quality tourism. Each member aims to operate steam train services on a minimum of 100 days a year and must be committed to running a top line operation with regular quality inspections, providing value for money combined with the highest levels of safety. Members also source supplies locally wherever possible and serve West Country products on their trains, and team up with local accommodation providers. Representatives from all four standard gauge rail lines met this summer, along with South West Tourism, to set up the group with a view to running their first promotional campaign in 2008. The Great Western Steam Railways group already has plans to extend membership invitations to other major heritage standard gauge lines in the region. The group will operate in a similar way to the ‘Great Little Trains of Wales’ which has been running successfully now for over 25 years promoting narrow gauge railways in the principality. Commenting on the launch of the Great Western Steam Railways project, South Devon Railway General Manager Richard Elliott said: “The new Great Western Steam Railways group plans to target tourists both in the UK and abroad by promoting the West Country’s excellent and varied heritage railways. “By working together, we can promote ourselves and the region much more effectively in mass markets and conduct promotional campaigns which individual lines simply could not afford. 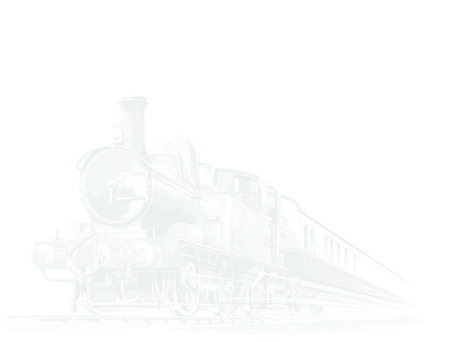 “In order to get things rolling, we aim to set up a website and GWSR group discount card, and launch a PR and advertising campaign over the next 12 months. “Our aims include pulling in more passengers by promoting member steam line operations as well as raising awareness of heritage steam railways. “We believe that more tourists can be encouraged to visit more than just one heritage railway during their stay in the West Country because each line has its own distinct personality. “This is a novel approach which a group of the South West’s steam railways are adopting and is surely an exemplar for similar collaborative ventures across the industry. Roger Webster, General Manager, Bodmin & Wenford Railway. DARTMOOR RAILWAY: The 15 mile former Southern Railway route climbs 600 feet from the Tarka Line near Coleford, through Sampford Courtenay and Okehampton to Meldon, high on the flanks of Dartmoor. WEST SOMERSET RAILWAY: This former GWR branch line is Britain’s longest heritage railway and runs for over 20 miles through the Quantocks to the sea, from Bishops Lydeard, near Taunton, to Minehead, with ten stations along the line. BODMIN AND WENFORD RAILWAY: Cornwall’s only standard gauge heritage railway and another former GWR branch line. The 6.5 mile round trip includes Boscarne junction with its links to the Camel Trail, plus Bodmin Parkway and Bodmin General stations.